Konrad Binienda, pianist and composer, graduated from the DMA program at the Cleveland Institute of Music studying with pianist Haeson paik. Since his debut with The Cleveland Orchestra in 2007, Konrad has performed in recital and with orchestras throughout the United States and Europe. Konrad was a recipient of the 2011 Hastings Prize for Musical Performance at Harvard University and a laureate of the 2010 Chopin Piano Competition sponsored by the Kosciuszko Foundation in New York, as well as the winner of the first prize of the 25th International Chopin Competition hosted by the Fryderyk Chopin Society of Texas. Konrad received his Master of Music degree in Piano Performance from the New England Conservatory as a student of Wha-Kyung Byun, where he received the John and Robert Cartwright Endowed Scholarship in Piano in Memory of Julius Chaloff and Homer Humphrey. He has studied with Sergei Babayan and Gerardo Teissonnière at the Cleveland Institute of Music, and with Phillipe Giusiano, Wojciech Switala and Viktor Mierzhanov in Europe. 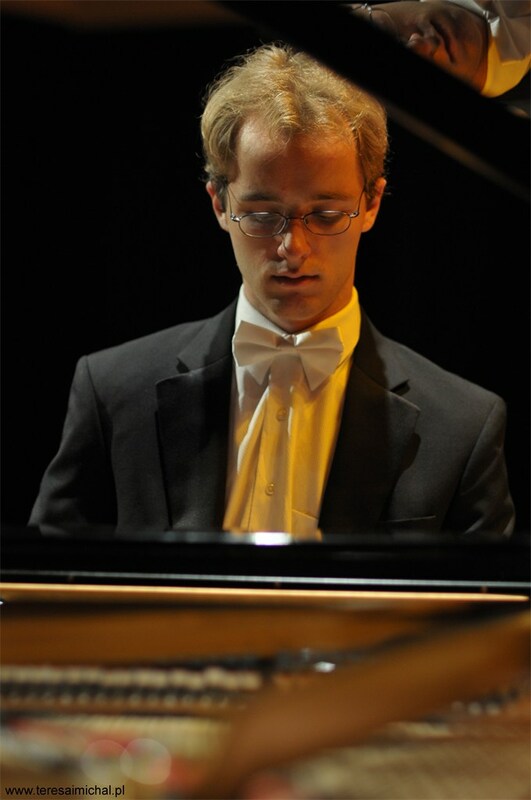 Konrad is the winner of the 2010 Peabody Mason International Piano Competition, the 2008 Mozart Society Orchestra's Concerto Competition at Harvard University and is also an accomplished composer. In May 2011 he performed his own piano concerto in E minor with the Pforzheimer House Orchestra at Harvard University. In December of 2006, he performed the first movement of this Piano Concerto with the Akron Symphony Orchestra. His arrangement of Simple Gifts for piano trio was chosen as a finalist for the National Association of Music Educators’ 2007 Showcase. His composition "Mazurka" for piano, bass, violin, and guitar, won the second prize of the second Carl E. Baldassarre composer-performer competition as well as the audience award.